Do you have a difficulty in memorizing keyboard shortcuts? 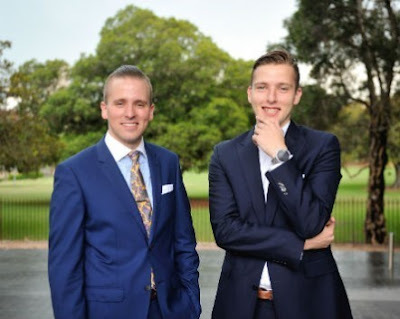 Try an Innovative Sonder Keyboard from a Sydney startup; it has developed a keyboard that adapts the signage on its keys according to the app being used at the time. The e-ink display automatically presents app-specific keyboard layouts for whatever program is being used. For games, it might mean that the W, A, S and D keys become up, down, left and right arrows. This patented Sonder Design chief technology officer Francisco Serra-Martins, who founded the startup with his twin brother Felipe, says the idea was borne from years of frustration with trying to remember keyboard shortcuts. Sonder Design’s Sonder Keyboard eliminates the need to memorise keyboard shortcuts for apps, or games. With Sonder you can establish game specific hotkeys, macros and specific in-game commands for more control at your fingertips. Whether you’re gaming at night, or working in a studio, Sonder’s front lighting through an advanced fiber optic waveguide will ensure you never miss a key in the dark. Customize your keyboard from QWERTY to DVORAK, from English to Chinese and beyond. Type emoticons to text, or create your very own keys to perform whatever command you wish. All gadgets can work with the Sonder keyboard through Bluetooth technology. Just follow a few simple steps to pair them. Then you can move your keyboard anywhere within range and wirelessly type away. To charge the internal battery, simply plug in the braided fiber cables – perfect also when you want to eliminate input lag. From OS X to Photoshop to Half Life layouts, this keyboard definitely has us intrigued at the seemingly endless possibilities for custom keyboard layouts. Sonder Design has already raised $20,000 in a single day of pre-orders (you can pre-order the keyboard from the Sonder Design website, currently $100 off the regular price of $299) and will be launching a Kickstarter campaign as soon as possible. The keyboard is expected to release later this year for $199 on Kickstarter and a $350USD retail price once it hits stores.